What kind of application is gDraw? Move! Move! It moves! You can draw and move your graphs! Setting invariables in the formula and changing the value, you can move your graphs freely! AMAZINGLY MANY KINDS OF GRAPHS! 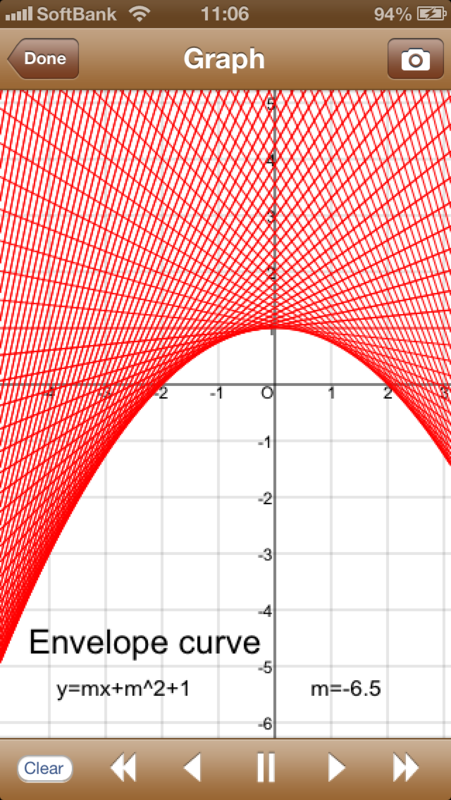 You can draw many kinds of graphs by setting function such as y=f(x), x=f(y), x=f(t) and y=g(t), f(x,y)=0, pole equation. MOVE GRAPHS! This is the greatest feature of this app! We prepared "m" as an invariable. You can change the value continuously and see the graph moving. 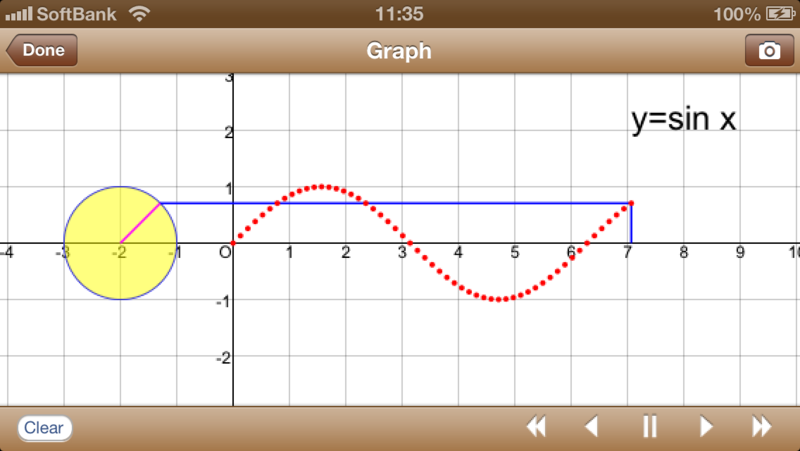 Using this feature, you can see many interesting moves, such as simple oscillation, cycloid curve, synthesis of waves. We prepared the original keyboard specialized for mathematical formulas. 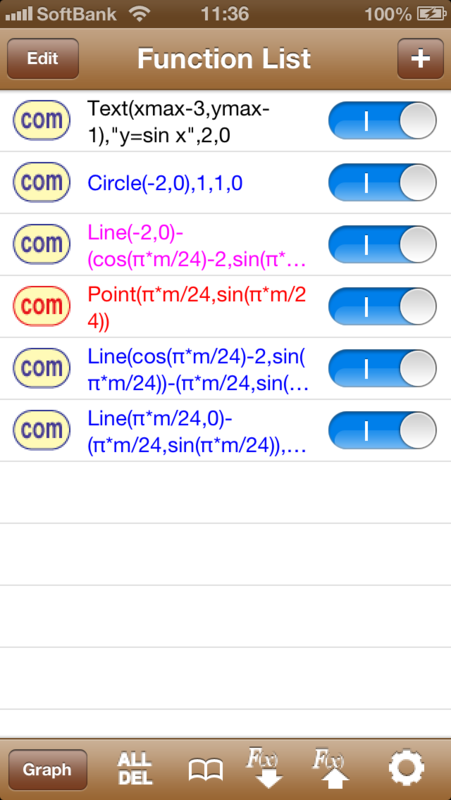 You can type mathematical formulas very easily. You can set unlimited number of graphs and see them simultaneously. 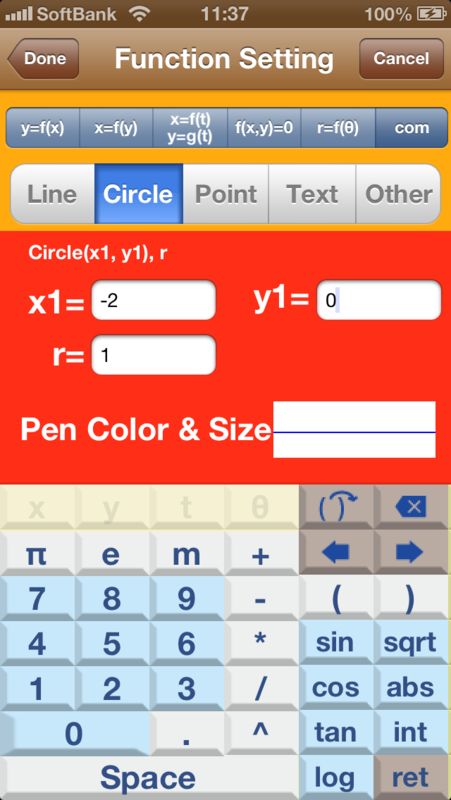 By using this, you can draw line segments, circles, points and texts very easily. For example, you can draw a line segments by setting the starting point and the end point. You can load many interesting samples from “Load SampleCom”. They are not only interesting, but also help you to master this app. You can save and load your original graphs! 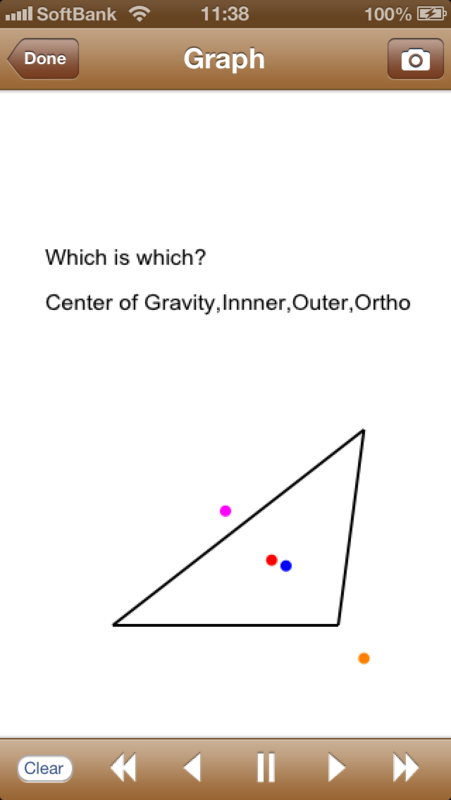 TAKE A PHOTO OF YOUR GRAPH! You easily take a photo of your graph by pushing “photo button”.